Yuusaku is a male student in Ryuuji's class, and is his best friend. He is the vice-president of the student council, the class representative, and captain of the boy's softball club at school. 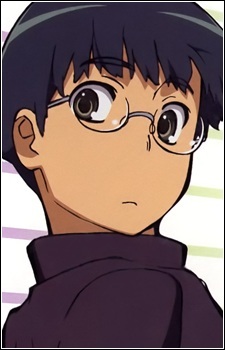 Yuusaku wears glasses, and has a diligent personality. He thinks he is poor at talking to girls, though Ryuuji observes otherwise. During his time as the vice-president of the student council, he eventually falls in love with the student council president, Sumire Kanou. A running gag is that he will appear out of nowhere behind Taiga and Ryuuji when they are discussing a "plan of attack" to get their crushes. Like Minori, he has an unusual personality, but oftentimes it is an expression of his friendship and appreciation. Yuusaku also had feelings for Taiga, but was rejected straight away.